Officers detained two men who were observed tending the net. They are identified as 45-year-old Orlando Maiava of Hau‘ula and 45-year-old Clayton Espanto of Kailua. Maiava was cited on March 31, 2018 by DOCARE officers in the same area for lay net and throw net violations. 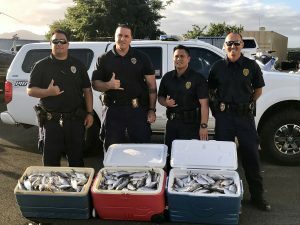 In the latest incident, an estimated 200 pounds plus of aquatic life (Aholehole) were entangled in the net and brought to shore by the two men. 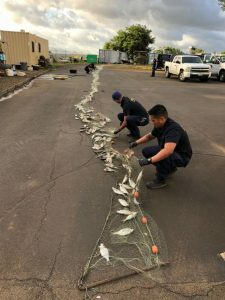 After officers inspected the net Maiava and Espanto were issued criminal citations for violating Hawai‘i Administrative Rules for unregistered lay net, possession of a multi-panel lay net, having no surface buoys and use of a lay net in a freshwater stream or at a stream mouth. Court appearances for both men are pending in Kaneohe District Court. 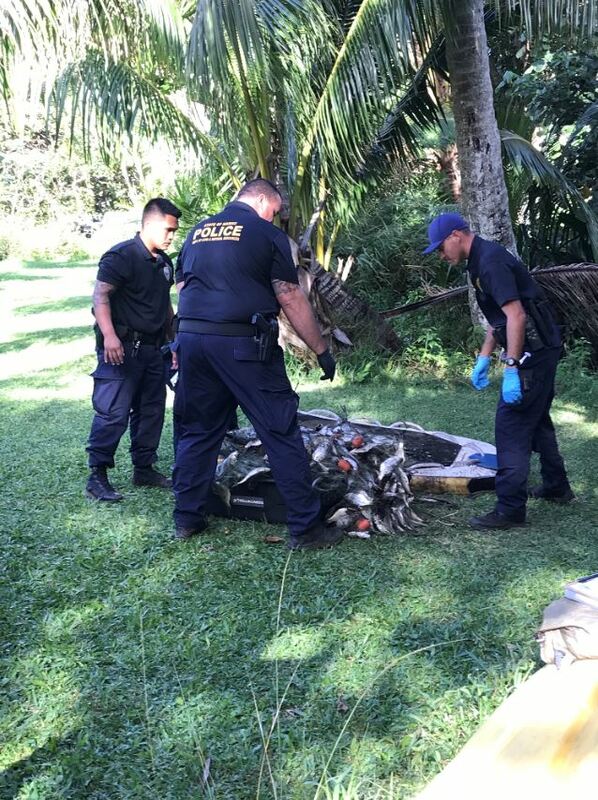 All of the equipment the men were using was confiscated and the Aholehole were turned over to the DLNR Division of Aquatic Resources (DAR).